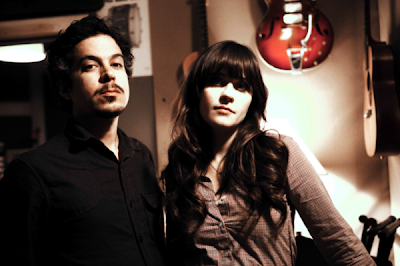 She and Him's new video for their single In the Sun almost makes me forget how cold Zooey was in 500 Days of Summer and how boring she was on Top Chef. M. Ward, you're still cool. Hopefully she continues her acting range in music videos and no longer feels the itch to go on the big screen. Then I could totally forget 500 days of Summer happened and go back to loving She and Him all the time. Will this glee-tastic video help heal your 500 days of Summer wounds? I agree. She just played a dislikeable character, and did a pretty good job getting ppl to dislike her I think. Like the Nazi guy in Inglorius Basterds! Haha, well maybe not quite that good a job. i love Zooey . don't listen to me. i'm just jealous i'm not her.